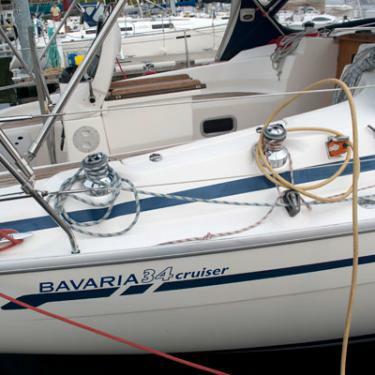 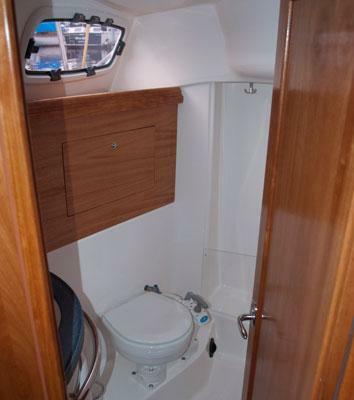 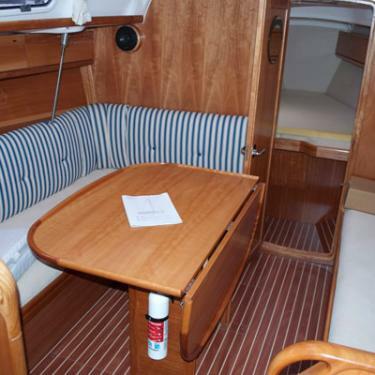 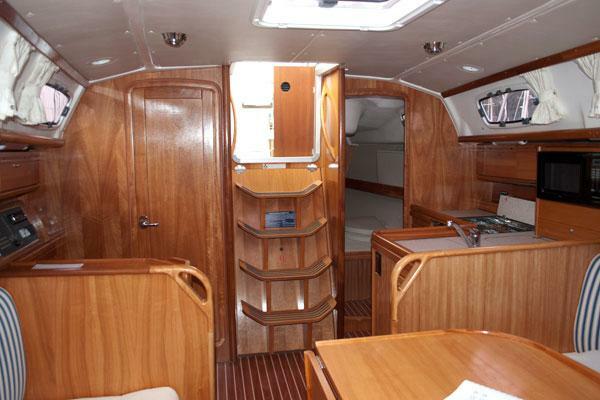 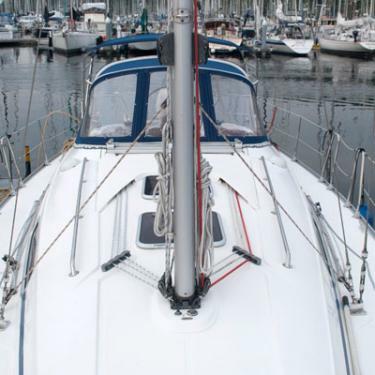 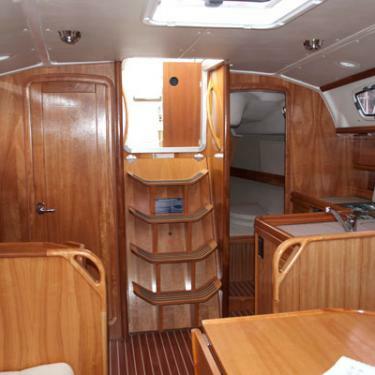 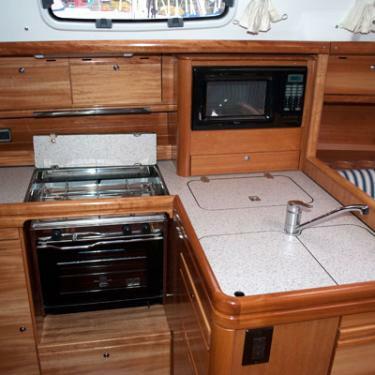 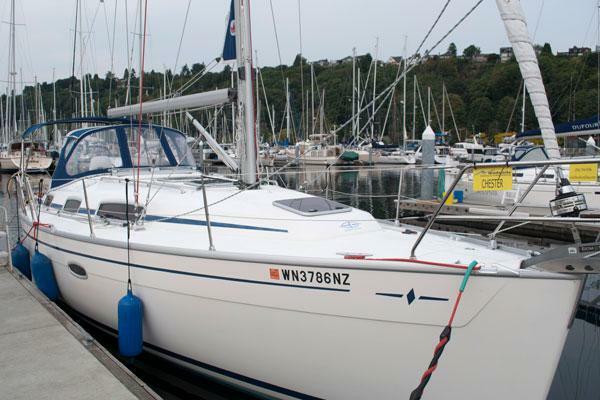 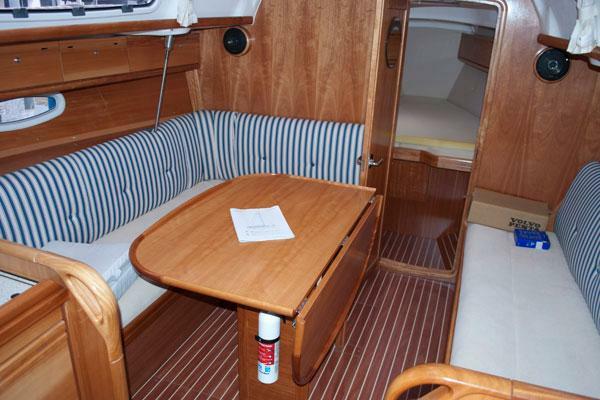 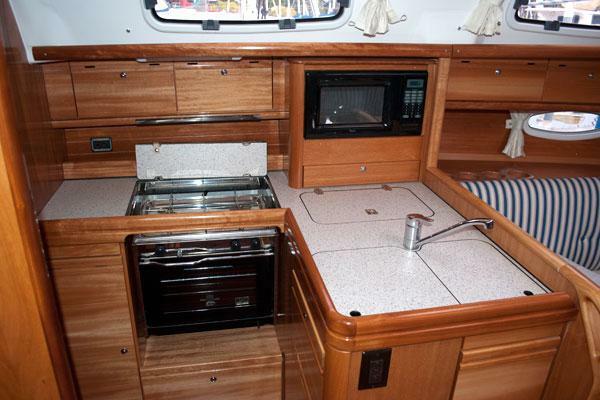 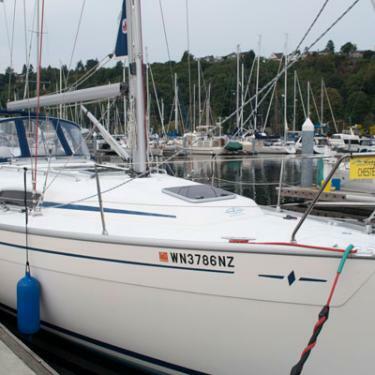 2008 German built Bavaria, has a very large cockpit with full Iverson Dodger and Bimini to keep the rain out; upgraded Volvo engine; beautiful lower Salon area with a surprising amount of room for a 34' vessel plus electric transom door – very cool! 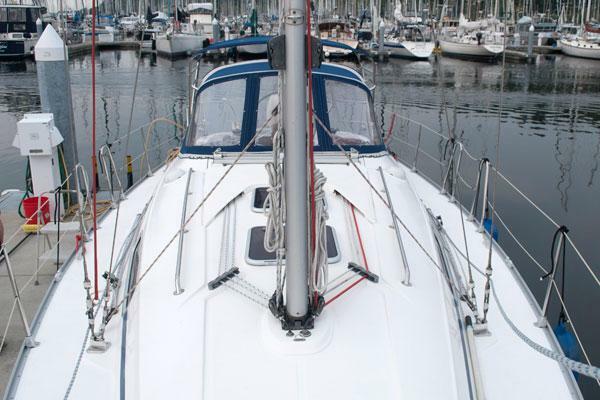 (2016) new set of performance custom sails (main and Genoa) from Ballard Sails! 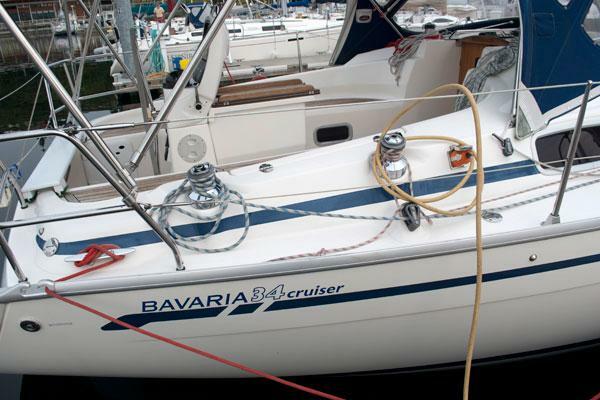 She is very fast in heavy winds. 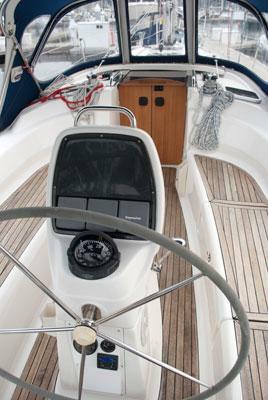 New collapsible leather wrapped helm wheel for 2018. .
Second set of cockpit winches for easy sail trim ability. 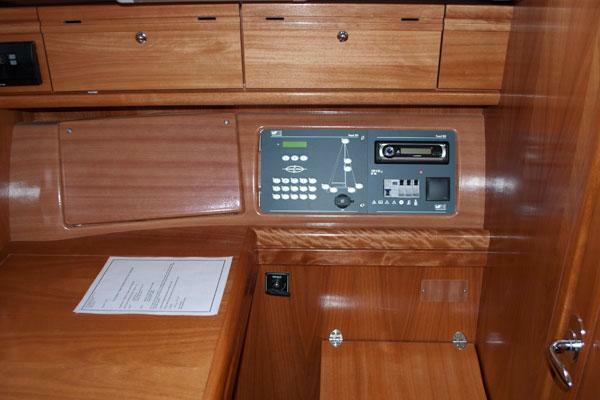 Transom hydraulically raises/lowers using a rocker switch. 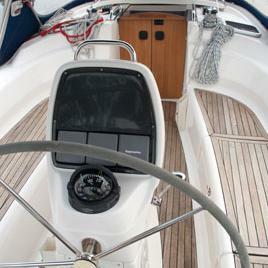 Full dodger bimini connector can be easily removed by zipper. 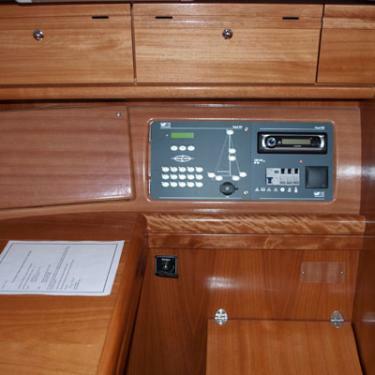 Vessel is equipped with cockpit seats for maximum crew comfort.